Augmented and Virtual Reality, the buzz terms, in the world of technology is not just limited to Pokemon Go, Ingress or other gaming stuff. Here is how they are helping realtors to pursue their objectives and stay competitive in the emerging market. Before getting started, here is a brief intro to both. As the term echoes, AR is about augmenting or improving the real-time environment of the user with a bid to elevate his or her level of perception about what he or she is watching. The environment is embedded with sound, video, graphics, GPS data, etc., derived from a compatible device. This is creating a virtual 3D environment harnessing computer technologies that a user can explore, interact with or exercise control on. Without any further ado, let's get into the nitty and gritty of the 7 key benefits that realtors can reap from AR and VR. 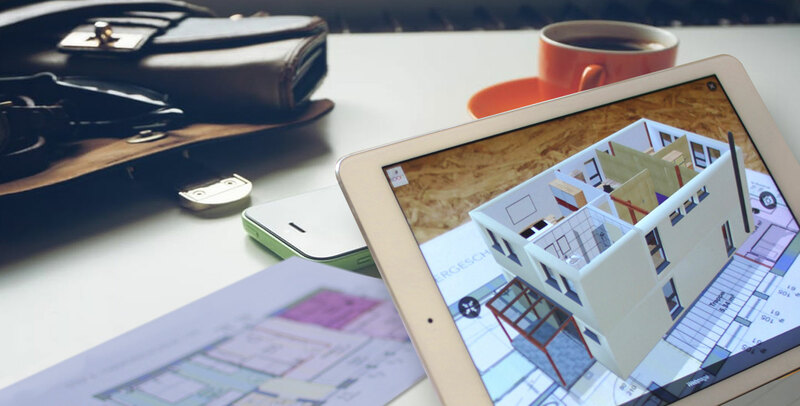 Using an augmented reality app, you can showcase your project to buyers or customers in 3D. With Virtual Reality, let buyers experience walking through a home or site without being exactly there. In the VR environment, they can experience opening doors, arranging household furniture, accessing built-in elements (floor, walls, partitions, bedroom, drawing room, toilet, kitchen, etc. ), and much more. Interestingly, all with the simple gesture or finger motions. Thus, they can visualize how those things will augment their living standards once they would be in. Certainly, a 2D image can't depict so much about your project. Buying a home is in no way similar to buying a pair of shoes. Here a single transaction may eat up the lifelong savings of the buyer. So home or property buyers are more considerate in their decision making. Their point of attention is not just the house but everything surrounding it that can have an influence on the lifestyle of his or her family. Fortunately, leveraging AR, you can overlay the preferred property with the information or content about planned surroundings and amenities like school, hospital, streets, park, etc. Allow buyers to check their eligibility, estimate the true worth of the property and compare product/service on real-time. The bigger is the engagement, the bigger is the publicity. The buyers who get interested in your offerings will obviously share their planning and excitement with their friends and family. Human beings have a natural tendency to seek advice and recommendation when it comes to making a decision that involves colossal investment. This buzz among public will help you have a better brand reputation and bag more deals. In a market, where competitors are just a click away from your prospects or customers, can you wait for them to visit at your site or office to know about your offerings? If you do, do at your own perils! Now the very moment a query gets submitted to your website or app, you can reach him or her out to showcase your project. Let your projects go live on their phone or a suitable VR device. Moreover, with a VR tour, you can make them reach and visualize some vantage points that would have been impossible just with physical means like the brochure. This will help them pick a house to their heart?s content. If you are in the UK, take a deep dive into the real estate market and learn why mobile apps are indispensable to succeed there. With VR on your side, your sales team can meet deadlines without fail. Respond to more queries, meet more interested buyers and achieve more conversion. With an easy-to-use AR/VR application, create multiple custom portfolios matching the needs of the clients with absolute ease. Want to showcase your project at an event? No worries. Just a VR projector is required at the point. Share the web link to the portfolio and let the audience explore everything about your project from a place of their choice. AR & VR technologies help you overcome the geographical barriers and reach out to more potential customers. From marketing and engagement to conversion, it reduces cost everywhere. Say no to costly and or printing services, travel and hotel expenses, and avoid the traveling hassles involved. As things are kept transparent and buyers know in advance what they will have in their budget, there is little scope for any related grievance or refund like situations that often drain our revenue besides bringing disrepute to an organization. Satisfied customers can be repeat customers. Though home or property is not bought as frequently as other materials are by any consumer in his or her life, considering the worth involved in it, it makes sense to make ample effort to retain such valuable customers; as who knows out of many some can buy properties as an investment option once they got settled in their own. It won?t cost a fortune to retain them. It has been estimated that the cost involved in acquiring a new customer is 4 to 10 times higher than that required to retain an existing one. Write to us at info@rootinfosol.com, if you are interested in getting an AR or VR app built. We provide offshore as well as onshore software development services tailored to the client?s needs. Stay tuned for Root Info Solutions to know more about how technology can make a difference in what you do. Best of luck!